A stricken motorboat that had been stranded in rolling seas and high winds was pulled to safety by rescuers on Monday. 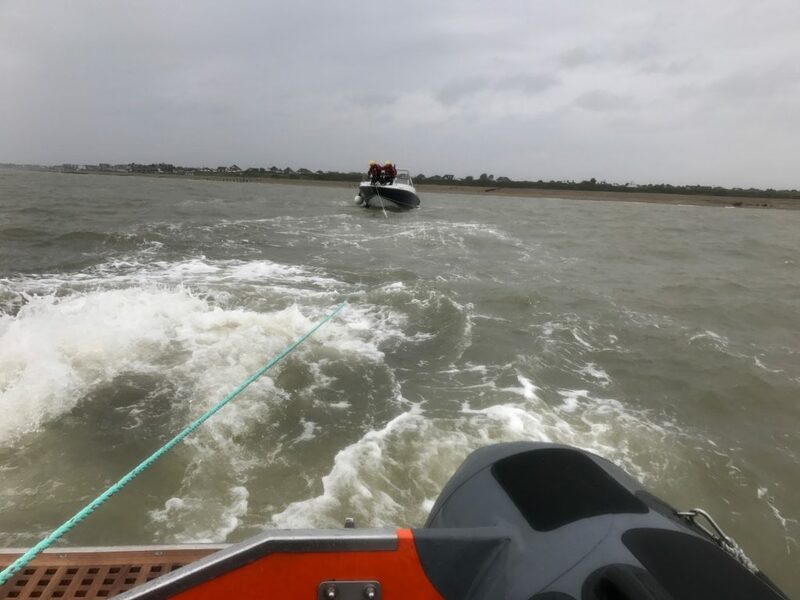 The 34ft powerboat had been struck by engine failure close to the Browndown shore but had managed to drop its anchor. 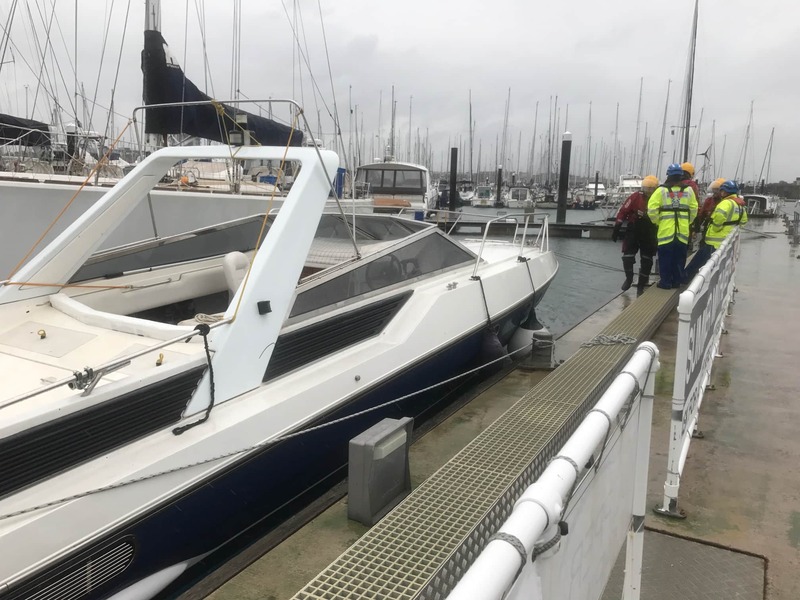 UK Coastguard paged Gosport & Fareham Inshore Rescue Service at 1643 to assist the vessel, which had two people on board, as high winds and waves began to cause it difficulties. GAFIRS senior coxswain Brian Pack said: ‘When we arrived on scene two of my crewmen went on board to assist. They discovered that one of the crew on the vessel had sustained a minor hand injury attempting to pull up the anchor while the skipper was suffering from mild hypothermia. 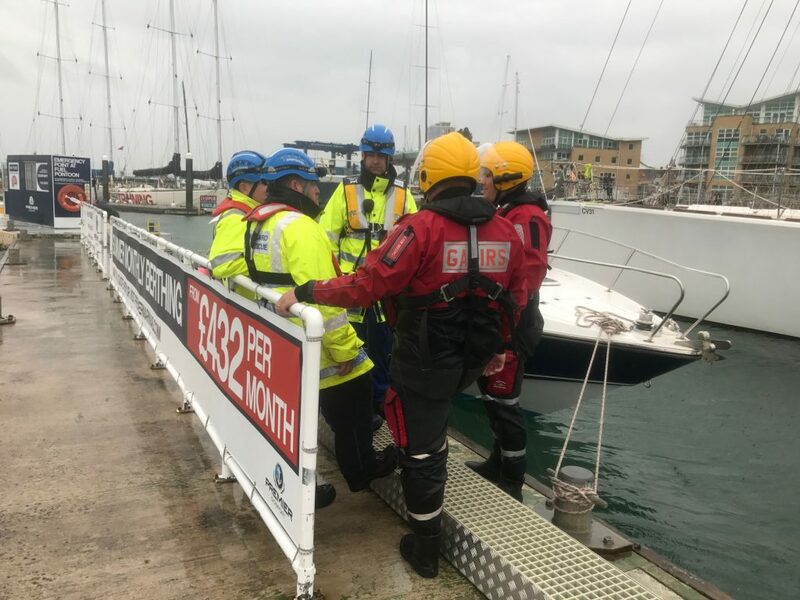 Hill Head Coastguard Rescue Team met GAFIRS at Gosport Marina and worked with them to bring the boat alongside safely. The injured casualty was taken to Gosport War Memorial Minor Injuries Clinic while the second man had by this time recovered from the affects of the cold weather and declined further medical care. In total the operation lasted three hours and was the 41st incident for GAFIRS this year – and the seventh in four days. Gosport & Fareham Inshore Rescue Service is completely independent of the RNLI and relies on public donations to keep it afloat.